Located on Hwy 84 East, approximately 2 miles from the heart of Ashford, AL. 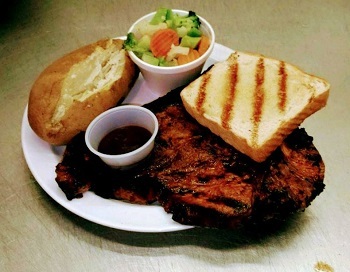 Johnny B Smokin' has some of the finest seafood, steaks and barbeque you will ever eat! Tuesday - Saturday (dinner): 4 p.m. to 9 p.m.
Wednesday - Thursday (lunch): 11 a.m. to 2 p.m. Coupon requires $20.00 minimum purchase.